The event will be held at The Grand Lucayan Resort featuring Deputy Prime Minister and Minister of Parliament for East Grand Bahama Peter Turnquest as the keynote speaker. 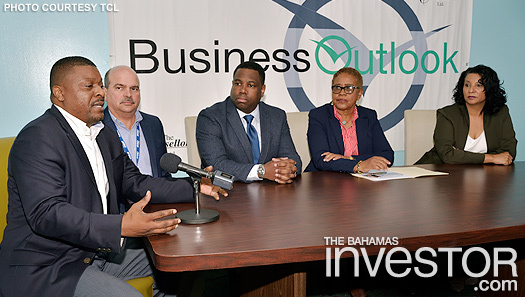 Other forum speakers at GBBO will include: Kwasi Thompson, Minister for Grand Bahama; Mick Holding, president, Grand Bahama Chamber of Commerce; Ian Rolle, president, Grand Bahama Port Authority; Bahamas Power and Light (BPL) chief operating officer Christina Alston (pictured); KPMG head of management for consulting and data analytics, Dennis D Deveaux (pictured); Erica Paine, partner and head of Graham Thompson’s Grand Bahama Office; Charlene Lewis-Small, lead investment officer, IDB and Paul Wynn, chief executive officer, The Wynn Group and Andre Knowles (pictured), BTC chief commercial officer. Princess Cays, which was ranked among the Top Cruise Line Private Island Destinations by Cruise Critic for 2017, has undergone a major revamp funded by the Eleuthera island’s owners Princess Cruises.